Oats are great for physical health, but the straw has all of the nootropic benefits. Am I really discussing oats in the context of mind-altering substances? No, I’m not. I’m discussing oat straw, the leafy sheafs & stalks that cover the oats. The part of the plant tossed away, left out of the oatmeal. The part of the plant that contains the highest concentrations of bio-active aminos & polyphenols believed to support brain function & health well into old age. While you should still eat your oatmeal, I’m going to review the oat portions tragically left out of the diet, helping you determine whether your cognition needs it or not. TL/DNR: Traditionally, oat straw has served a number of therapeutic purposes: anti-anxiety, aphrodisiac, sleep support. Research research suggests that these benefits are spot-on and may even extend to enhanced cognition, given the right oat straw extract under the right conditions. Is Oat Straw a Good Nootropic? Because I’m a cheesy corndog, I’m writing this article over a bowl of oatmeal. If I can write a nootropic review while on the nootropic, then dammit I’m doing it. Not to give off any pretenses of oatmeal being a significant cognitive enhancer (or is it??). Traditionally, oats have been viewed as generally healthy nutrition, with perhaps a few folk remedies that use the herb for specific medicinal treatment purposes. 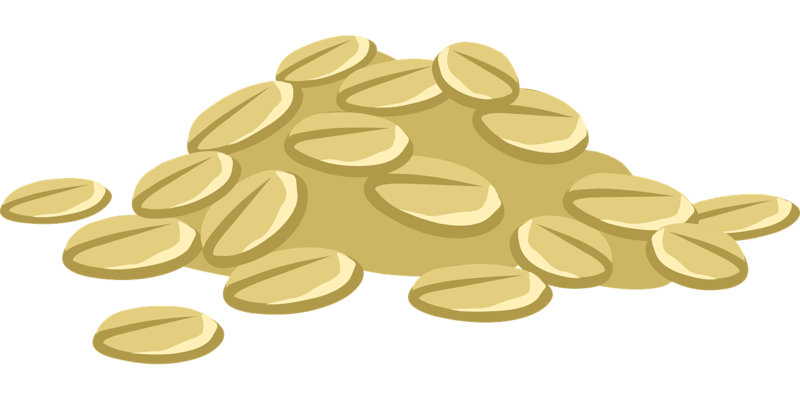 Historically, records suggest that oats were cultivated as far back as 2000 BC, making it one of the “ground zero” domestic plants of human civilization, both for human consumption & livestock feed. However, when it comes to nootropic brain performance, we’re not at all concerned with the oats. We’re all about that oat STRAW: The grassy part of the plant separated from the oats prior to dietary preparation. Similar to L-Theanine, oat straw is believed to support an alpha brainwave frequencies, a mind state often associated with relaxed focus & attention, minus the creativity-killing sedation that comes with relaxants. It’s best described as feeling calm, yet alert–fostering a creative mind-state that flows through abstract thoughts & ideas for an enhanced, meditative mindset. Oats contain arginine & avenanthramide, an amino acid & polyphenol involved in the synthesis of nitric oxide. Weight lifters will be familiar with N.O. boosters for their relaxation of the smooth muscle in blood vessels, allowing for an increase in circulation (i.e. gettin’ pumped, BRUHHH!). However, an increase in N.O. synthesis also leads to an increase in blood flow to the brain, delivering more oxygen & nutrients to neurons for optimized mental performance. Excess inflammation is a key contributor to cognitive degeneration, rendering anti-inflammatory nootropics as essential to long-term brain performance. While oat straw’s anti-inflammatory mechanisms are largely associated with the herb’s topical “anti-aging” applications, some research suggests that oat straw’s anti-inflammation may support vasodilation of cerebral vessels, regulating blood pressure to healthy levels in support of cognitive function. Oat straw has its traditional benefits, as I’ve mentioned: Reduced anxiety, improved mood, optimized sleep. For these reasons and possibly more, nootropic products are including enhanced oat straw extracts to deliver potent, acute boosts on cognitive performance. Whether or not these boosts are sustainable over time with long-term oat straw supplementation remains to be seen (one study below suggests against this), yet the well-demonstrated effects of oat straw on cognition seem to validate its role as an on-the-spot cognitive enhancer–particularly among older customers. 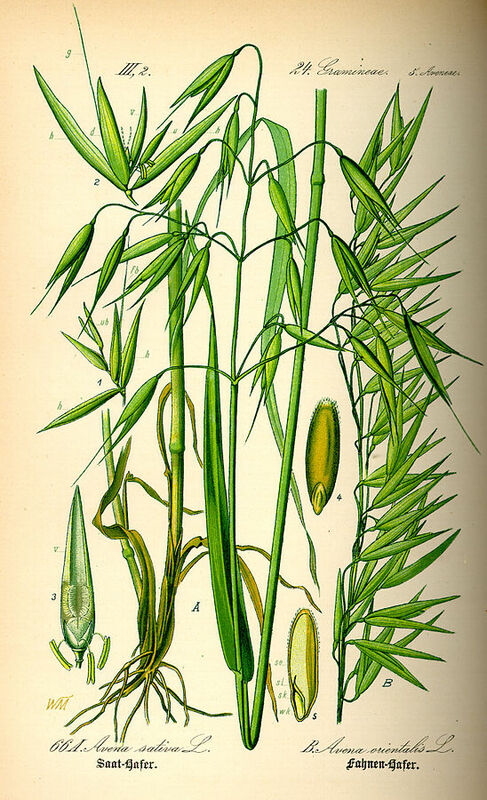 Most likely due to oat straw’s boost on circulation, the plant is often revered as a traditional aphrodisiac (hence the phrase “sow one’s wild oats”). Personally, I doubt the herb offers any significant boosts on libido, but its increased blood flow may help certain aspects of physical performance–be it in the gym or bed (or wherever you do the dirty things you do). 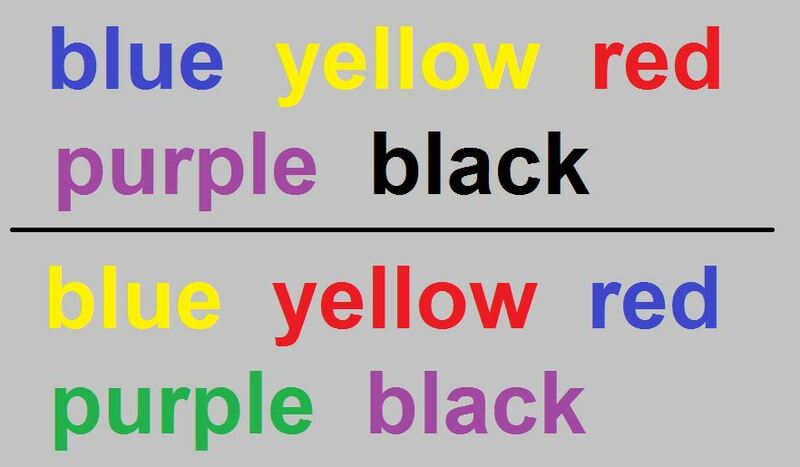 Stroop Color-Word Test. By Xiaozhu89, via Wikimedia Commons. With all of this emphasis on single doses, the question remains: How does oat straw fair over time? 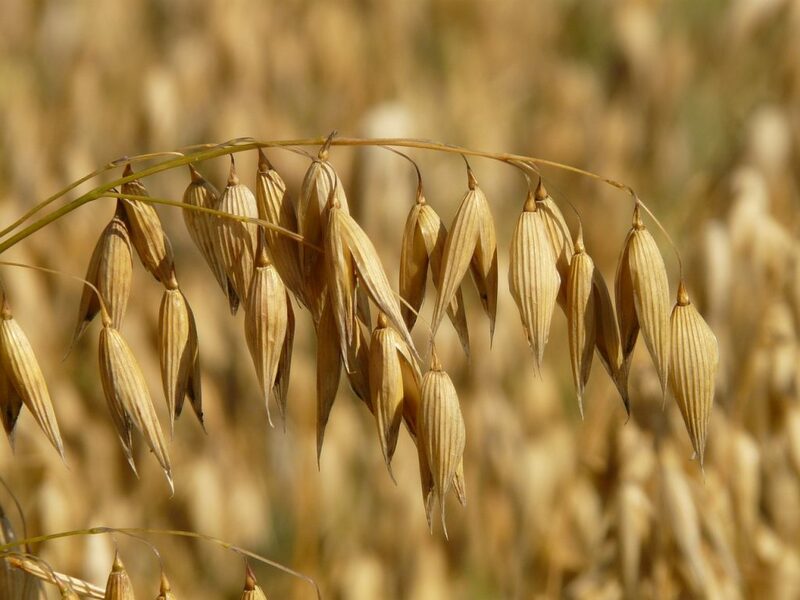 This study seeked to answer precisely that by engaging healthy adults aged 67 years in a 12-week trial of oat straw extract (Neuravena) supplementation at 1500 mg/day. 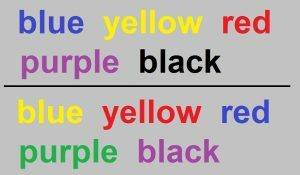 Cognitive assessments were conducted on week 12, repeated in week 24 while the subjects were off of Neuravena, and at least 18 hours within the taking the last supplement dose. The results found that chronic supplementation had no effect on any measures of cognition, lending to the notion that “the cognitive benefit of [oat extract] supplementation does not persist with chronic treatment in older adults with normal cognition.” However, the researchers mentioned that further research into the chronic supplementation of oat straw on those with mild cognitive impairment is warranted. Oat straw supplements typically supply 300 to 600 mg doses. The recommended daily dose is higher, reaching up to 1500+ mg. Liquid extract dosages are 0.5 to 1 teaspoon, 3 times daily. Oat Straw Extract. Often found in 10:1 extract potency. Neuravena®. This specific brand of oat straw combines a variety of Avena sativa strains with the intention of creating an enhanced full-spectrum extract. Nootropic oat straw extract is another ingredient that I’ve consumed in a premade stack but never as a standalone supplement. With that in mind, I can’t rightfully say whether or not the benefits I experienced were due to oat straw alone. Even so, I’m an oat straw believer. I’m an oat straw believer because I’m an oat believer. Not everyone is an oat believer. Strictly on a nutritional basis, there are plenty of reasons to include oats in your diet, most of them relating to physical performance more so than cognitive performance. I tend to consume oats more so for the general health principle of doing so than for nootropic reasons. As I get older, Avena sativa extracts gain more & more appeal, considering that most nootropic research centers on their use for “adult” or “elderly” cognition (I guess I’m not yet an “adult”?). Otherwise, until then I’m sticking with L-Theanine for my alpha brain wave boosts on focus & relaxation. Oat straw is an interesting nootropic. Despite the considerable amount of human research on the botanical, there remains much we’ve yet to explore in terms of the clinical potential of oat straw–or, more specifically, oat straw extract. However, even if the nootropic appeal of this herb is lost on you, don’t toss it out completely: There are plenty of anti-inflammatory, pro-circulatory benefits worth checking out, especially if you’re an athletic geek. For the record: Oatmeal stout beers don’t count as oat supplements.